Developing the design for the Bluecorn Beeswax Aromatherapy candle line was one of the most artistic and fun projects of 2017. And creating the 3D box art for these gorgeous glassware candles brought the project to a whole new level. The Skating Company in Alberta Canada works with hockey players offering a unique alternative to traditional hockey programs by focusing specifically on refining the individual hockey player’s skating technique. When they came to Sprout Design Studio for a new website, the emphasis was on having a professional look with a clean aesthetic. Sprout also re-designed their logo and developed a new color scheme for their brand. 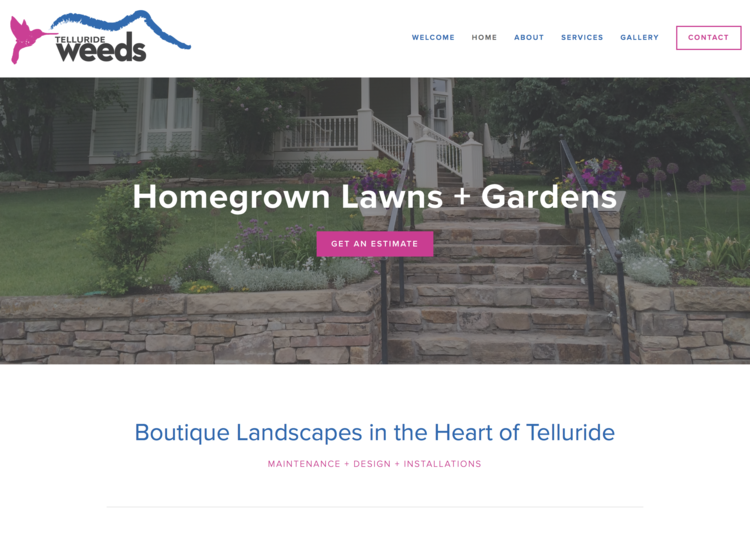 The folks at LaidBack Pads had already set up a Squarespace website but it didn't convey their message effectively due to the aesthetics of the site. The pictures were few and far between and long areas of written content made it difficult to digest. 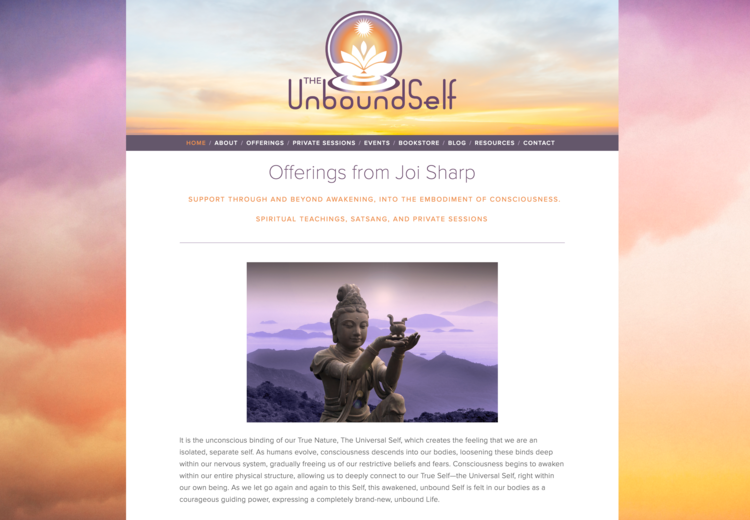 The new website allows for a more aesthetic flow and conveys broad concepts in a concise manner. Working with renowned Chef Honga Im to develop her new restaurant in Ridgway, Colorado has been an exciting and fulfilling process. Together, we created a brand, a fully developed website, and worked on Social Media and marketing tools. Sprout Design Studio also helped to her develop the written content to describe her new endeavor. Honga's goal in opening this new restaurant was to "get back to the roots" of what she loves. It has been an honor to help her do so. Working with all of these entrepreneurs has been enriching and enjoyable - I wish them the best of luck as they grow their businesses! Working with Sprout Design Studio to create a logo, is a collaborative process. Together, we investigate your brand, your mission and discuss what iconography will best convey the essence of your business. Fonts, design elements and images can provoke many different feelings so it's important to make sure we are capturing the right ones. At the outset, I like to start in a grayscale format so that logos can be assessed for their design elements rather than how colors may play a role. The image above are a few of the logos presented to the Norwood Farm and Craft Market for their new brand identity. They are striving for a rustic, community influenced grassroots feel that conveys their commitment to locally grown food and handcrafted arts. Which one do you think best achieves their message? 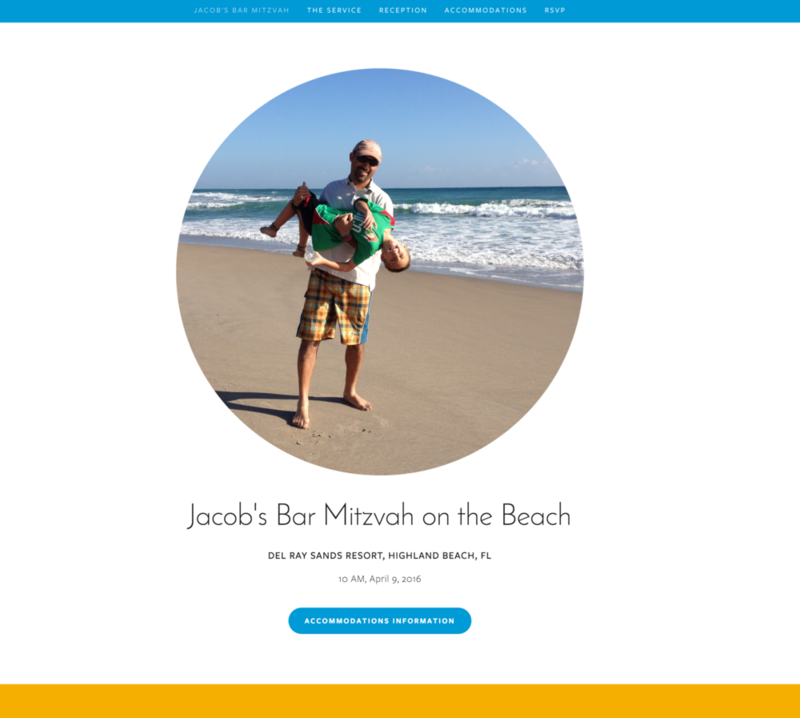 Need a Website for a Wedding, Celebration, Bar Mitzvah or other Event? Click to view the site. Sprout Design Studio can create a simple custom website for your upcoming event complete with online RSVP forms and important information. The best news of all... sites like these can usually be completed for less than $500! Sprout Design Studio is thrilled to announce the launch of a new website for the Ouray Ice Park. This is Sprout's most comprehensive website to date with nearly 50 pages of content, and a large variety of integrations, links and functions. Working with this non-profit entity to develop their new site has been a wonderful process and I am proud to have been a part of it... every step of the way! All of the websites created by Sprout Design Studio are built entirely in house with no out-sourcing using Squarespace, a robust Content Management System (CMS) with an extremely user-friendly interface. In using this format for website creation, Sprout is able to offer its clientele significant cost savings in initial site creation and site maintenance. Within the Squarespace format, changes to site design are made within the context of the current site making it easy to facilitate the evolution of the website over time. And since content changes may be easily made by website owners, future expenses associated with managing website are nominal to none. User Friendly: Once the website design is established by Sprout Design Studio, it is very easy for (even the most technically un-savvy) website owners to make content and image changes to the site. Inexpensive: This is hands-down the most inexpensive format in which to create a website. Design costs are frequently less than 25% that of other formats! Hosting costs are comparable but since owners can easily make their own changes, unforeseen future expenses are avoidable. 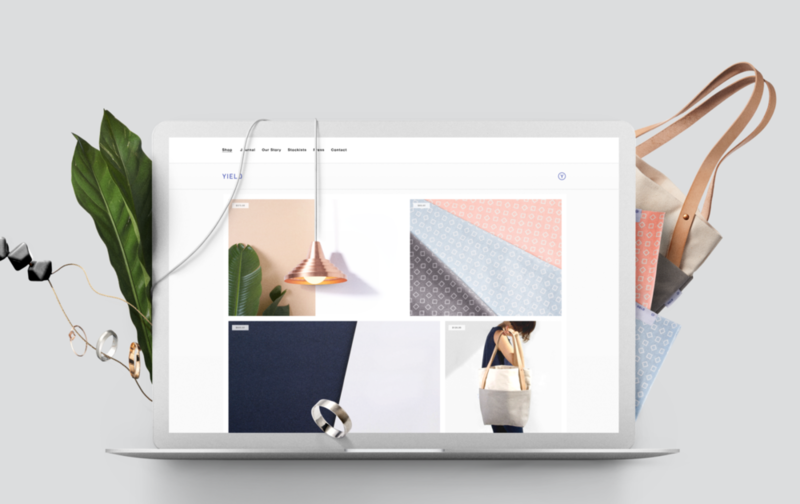 One Stop Shop: Squarespace offers users the capacity to manage all aspects of their websites- domains, hosting, payments, traffic statistics and analytics, donations, etc. all within the scope of the easy-to-use platform. Hosting: All Squarespace websites are hosted on Squarespace’s own robust server which means they can handle a huge volume of traffic. HBO, Target and many other major companies have sites that use Squarespace. Squarespace even hosts their own website on the same server and when they ran their 2015 Superbowl ads, there was no problem handling the increased site traffic. In contrast, Wordpress sites require users to find a place to host them. Mobile Friendly: All Squarespace websites are mobile friendly – fully optimized for ALL device sizes. Security: Since Squarespace hosts the website, they take care of security and updates. This is not the case with other sites, particularly WordPress sites which tend to have security issues. Support: Live chat, community knowledgebase and 24/7 email support, usually answered within 1 hour. E-commerce: Fully integrated with features such as inventory tracking, tax and shipping. User Data Collection: Squarespace supports over 15 different data types, such as addresses, currency, emails, and text fields, making it easy to capture data from your site visitors. You can also save form submissions to Google Docs, MailChimp, and/or email. Google Docs will be updated in real-time as submissions are entered. Making websites for Yoga Studios and Programs is so much fun... it's easy to make their beautiful studios and flexible bodies look great on the screen. This project was especially fun because ThumbSUP Yoga specializes in yoga classes outside. In the water. On SUPs. Fantastic! To learn more about the creation of this website, logo and other aspects of this exciting project please visit our Project page. I am excited to announce that Worldwide Headquarters of Sprout Design Studio has a new office! It's still a work in progress since I am forever obsessed with design. Even that of the interior kind. Please make an appointment to chat about your next project so you can come sit in one of my comfy yellow chairs! Wow, really? A complete website for less than $500! Did you know that you can get a custom website for less than $500? Here are some examples of some recent sites created by Sprout Design Studio that definitely didn't break the bank! Click on the images below to see the these websites in action. Sprout Design Studio in the news! Here is a fun article that highlights female business owners in the San Juan region - I am honored to be included! (You may also click on the article to be directed to the newspaper's page). Over the past several months, I have been working with a husband and wife team in Ridgway, Colorado to start a new restaurant called Eatery 66. Working on their vision has been a wonderful process and together, we have created a cohesive brand including a complete logo suite, a menu, a website, a fun tagline and social media presence. And it's working! Within 5 days of being Facebook, they have 300 likes (in a town of 700 people) and they haven't yet served a single meal! Eatery 66 opens this weekend in celebration of Memorial Day. Every spring I create a new poster and postcard for the Ridgway Farmers Market. This year, we decided to go with a chalkboard theme which has a organic, market-style feel. What fun! Are you getting married this summer? Have Sprout Design Studio create elegant custom invitations for a fraction of the cost. We will work with you to perfectly match your colors and aesthetics. The best part is every card is unique so you can be sure that no one else will have one like it on their fridge! Sprout Design Studio has a new website! The best part of being a web designer is being able to have a new website whenever you want one.... so, why not? Well - the biggest reason is that it takes a lot of time! But I love my new site and hope that you will too.